Lately I’ve been thinking a lot about how we nurture those who nurture: nurses and midwives especially. It’s a subject that has popped-up in a couple of journal articles, on social media (including my recent blog), and in conversations at work. Before we think about nurturing nurses, let’s think about miners. Believe it or not, the mining industry with its big burly blokey image has some valuable lessons in nurturing for us namby-pamby health industry types. So the miners went on strike. 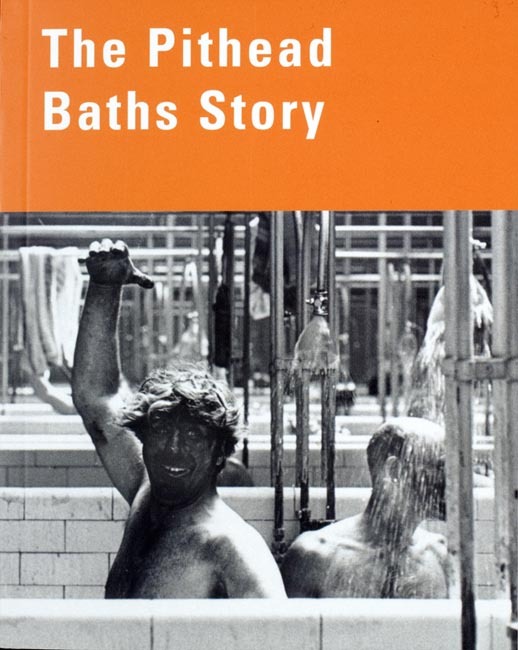 And stayed on strike until, eventually, the mining companies installed pit head baths so miners could get cleaned-up and changed in the boss’s time, using the boss’s resources. It’s called “Pit Head Time”: it’s enshrined in award conditions for miners and pit head baths are just part of the infrastructure of mines. Remember the Beaconsfield miners emerging clean and shiny after a fortnight underground? They clocked-off AFTER getting cleaned and changed. The infrastructure is in place – somewhere between the working part of the mine and the clocking-on/off area is a shower and change room – the pit head baths. 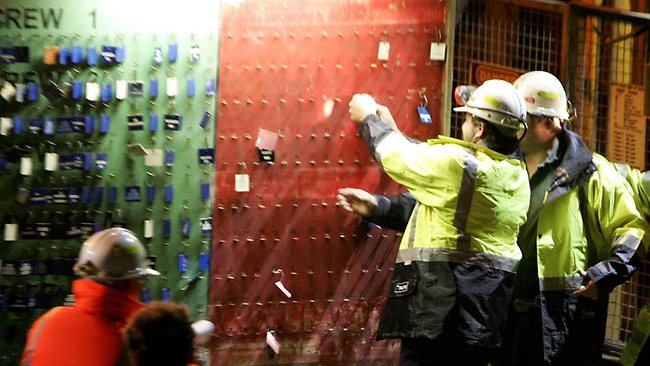 The miners clock-off by moving their tag from the red “underground” section of the board to the “safe” green area of the board. That’s how pit head time works – you clock-off after you’ve cleaned-up. Nurses don’t usually get covered in coal dust. 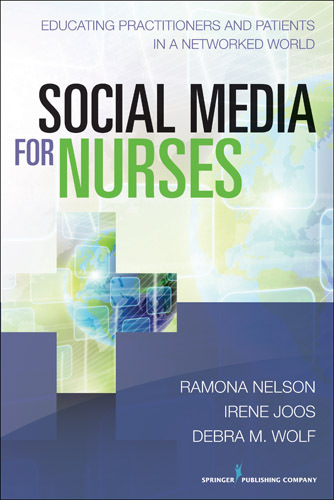 Nurses get covered head to toe in the emotional experiences of people who are, very often, having the worst, most traumatic, day(s) in their life. Shouldn’t nurses get cleaned-up on the boss’s time too? Clinical Supervision is the name given to the process of cleaning-up after doing emotional labour. 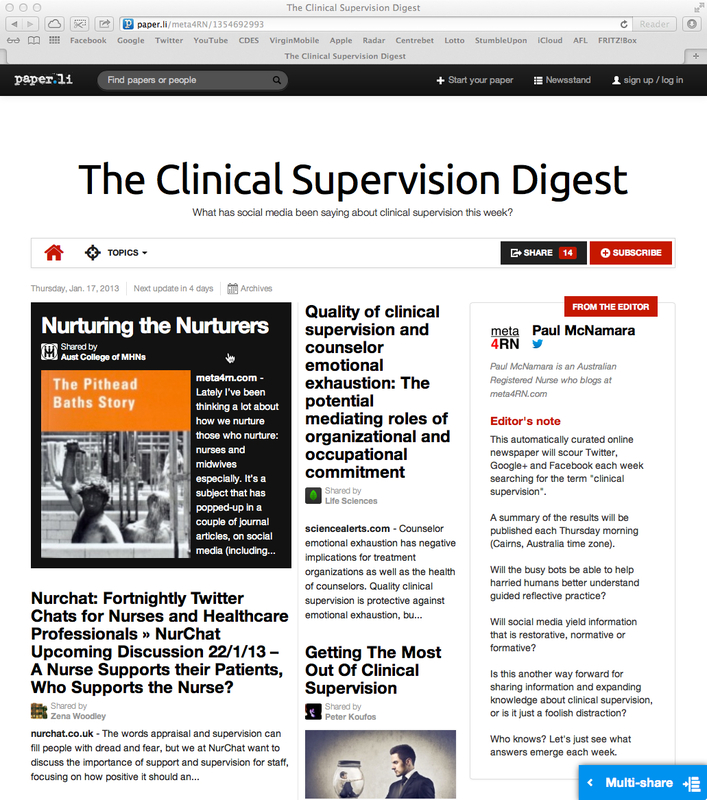 Clinical Supervision is a slightly clumsy name for it, because the word “supervision” implies scrutiny. Nurses are a bit thingy about scrutiny. Nursing was born in the church and raised by the military – it has shameful history of bombastic, bullying, bellowing scrutiny. Nursing and feminism (ie: the gender equality movement) have fought hard to overcome the worst of some very bad power imbalances. That’s why it’s understandable that some nurses are cautious about volunteering for something called “Clinical Supervision” without understanding it fully. Clinical Supervision does go by some nom de plumes: “Supported Reflective Practice” and “Guided Reflective Practice” being the most common alternatives I’ve come across. Whatever the nomenclature, they each generally attend to the same task – assisting and supporting the clinician to reflect on their work, with the intent of keeping them and their practice safe. Brigid Proctor is considered one of the rock stars of Clinical Supervision, mostly because she had the capacity to simply articulate the primary functions of Clinical Supervision. The Formative Function of Clinical Supervision (learning) attends to developing skills, abilities and understandings through reflecting on clinical practice. We don’t know what we don’t know; sometimes it is only through reflecting on our work with a trusted colleague that we get a glimpse of some of our blind spots. The Normative Function of Clinical Supervision (accountability) is concerned with maintaining the effectiveness and safety of the clinician. Sometimes we need a trusted colleague to prompt us to revisit clinical practice guidelines, policies, procedures and legislation as a way to make sure we’re working within expected norms in everyday practice. 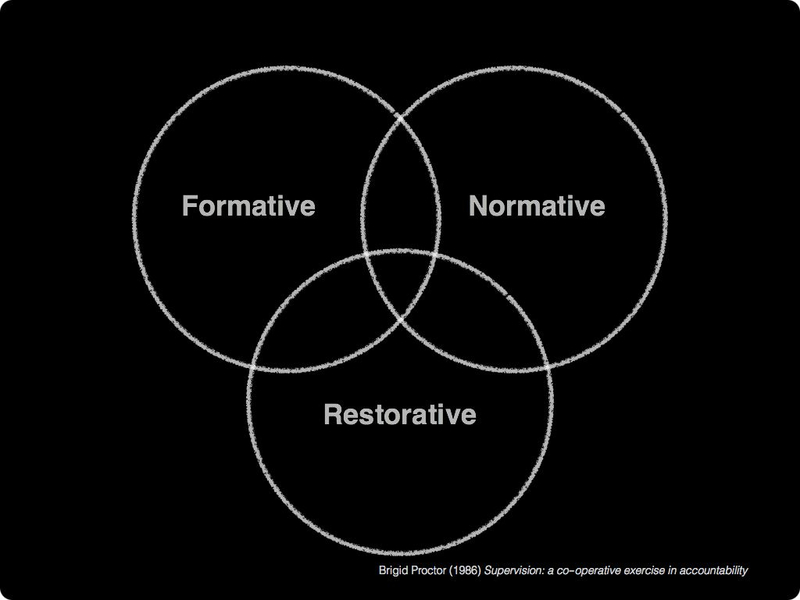 The Restorative Function of Clinical Supervision (support) addresses the inevitable emotional response to the privilege, the frustrations, the joys, and the stresses of working in a caring, nurturing role. Sometimes it is only through discussing our work with a trusted colleague that we recognise the emotional effects of our work, and learn how to manage our reflex responses. It is the restorative function of clinical supervision that I value the most. By (metaphorically) cleaning-up the dust and grime I get covered in doing emotional labour, I feel that I am being nurtured, sustained. 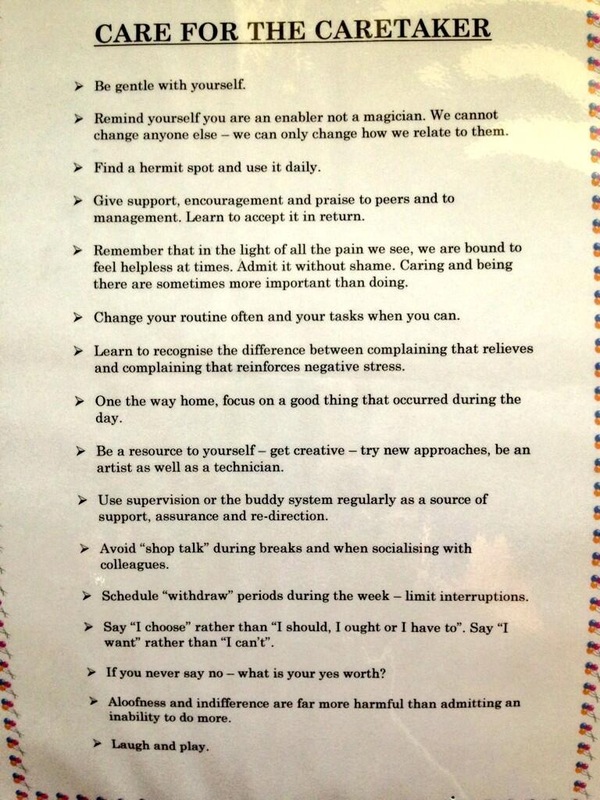 By being nurtured in the workplace not only do I avoid spending my entire wage at Dan Murphy’s bottle shop as a maladaptive coping strategy, but it also equips me with the capacity to nurture others. In some workplaces (mine included) there have been attempts made to make Clinical Supervision part of the infrastructure, just like the showers and change rooms the Beaconsfield miners used. 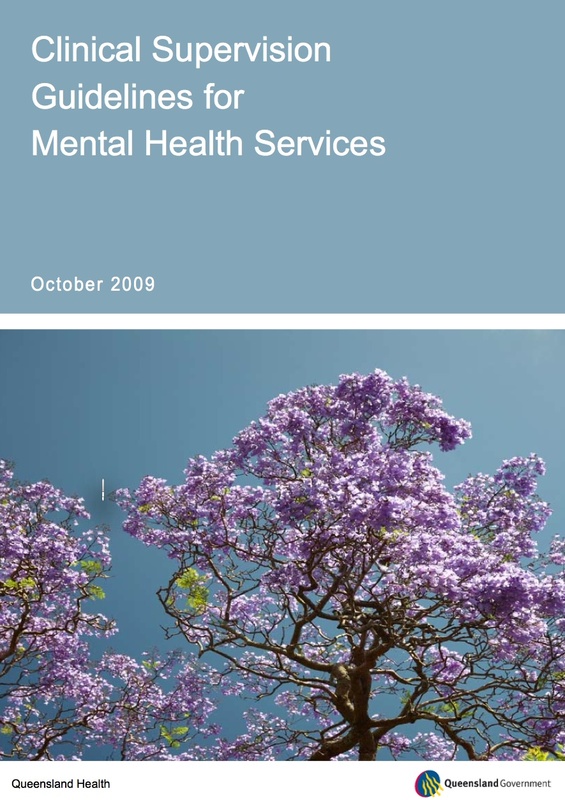 If you’re interested in an example of what the infrastructure for assisting clean-up after emotional labour looks like, take a look at the Queensland Health (2009) Clinical Supervision Guidelines for Mental Health Services [PDF]. I know that many of my Nurse and Midwife colleagues don’t have this infrastructure available to them, and I can’t understand why. If it’s good enough for miners to have pit head baths and pit head time, surely it’s good enough for Nurses and Midwives to have Clinical Supervision. Shouldn’t we be nurturing the nurturers? 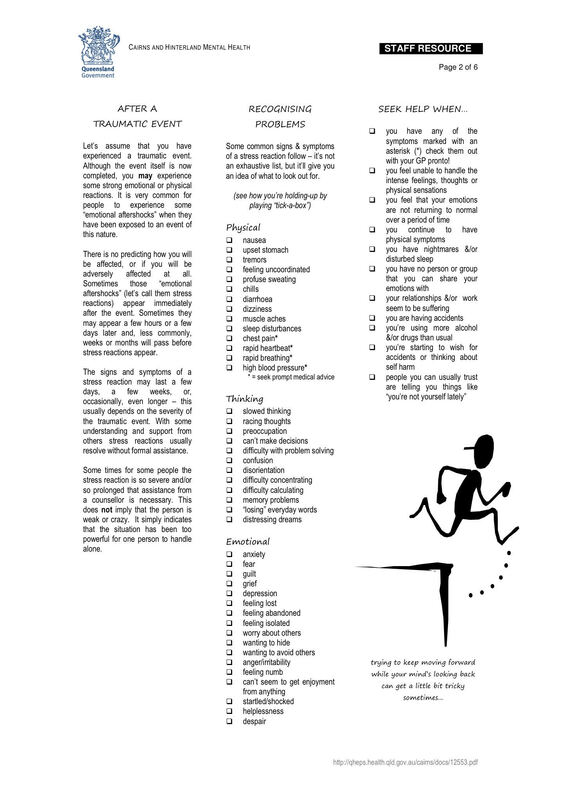 This entry was posted in Blog and tagged clinical supervision, emotional intelligence, emotional labour, secondary trauma, stress reactions on 15 January 2013 by Paul McNamara. 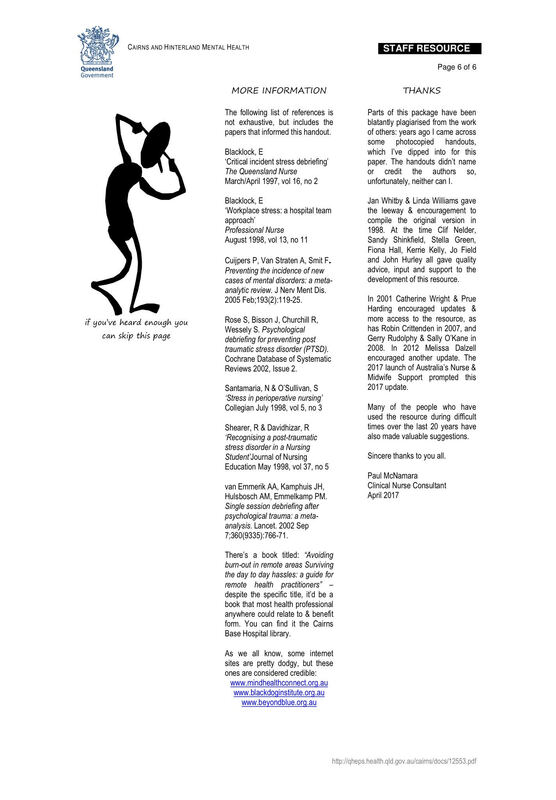 It was 1998 when the decision was made to use comic sans and screen beans in this staff resource… the idea was to make a heavy subject accessible. Please don’t judge me. No! Don’t run away! It’ll be quick, I promise! 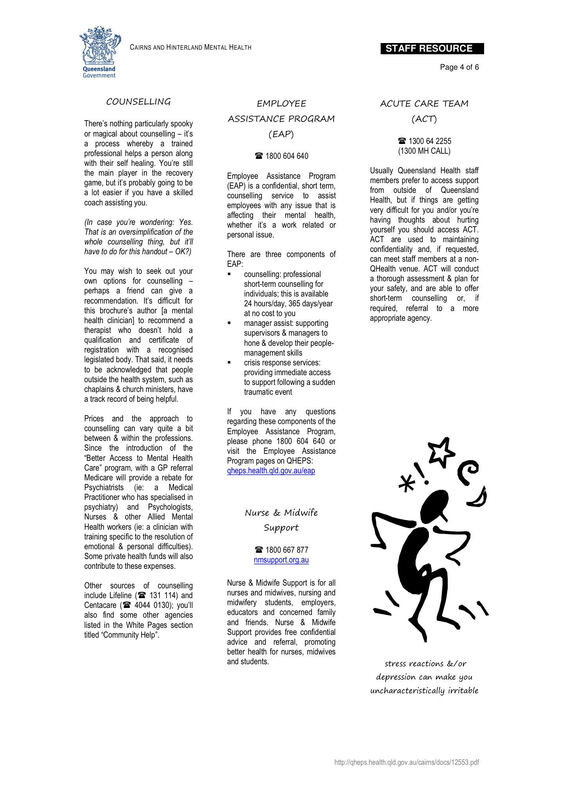 Back in the late 1990s I was working as a Nurse Educator in Community Health – it was good to get back in touch with general nursing after a few years in mental health. One of the things that popped-up at the time was that some staff (both clinical and non-clinical) were getting pretty stressed-out at work, usually because of work-related stuff. My boss at the time was keen to tap-into my background in mental health to see if it was something we could address as an organisation. Some of the nurses, indigenous health workers, admin officers and cleaners I chatted to at the time made it clear that they didn’t want to show their vulnerabilities to clients, colleagues or management for fear of being thought of as weak or unable to cope. Staff asked for information and support that could be accessed discretely, without it being necessary to disclose anything to anyone at work. That’s how the staff resource, That Was Bloody Stressful! What’s Next? was born. Since 1998 it has been on the workplace intranet. We told people how to find it, “Just search for ‘bloody stressful’ on QHEPS”, and asked that they pass the tip on to workmates. 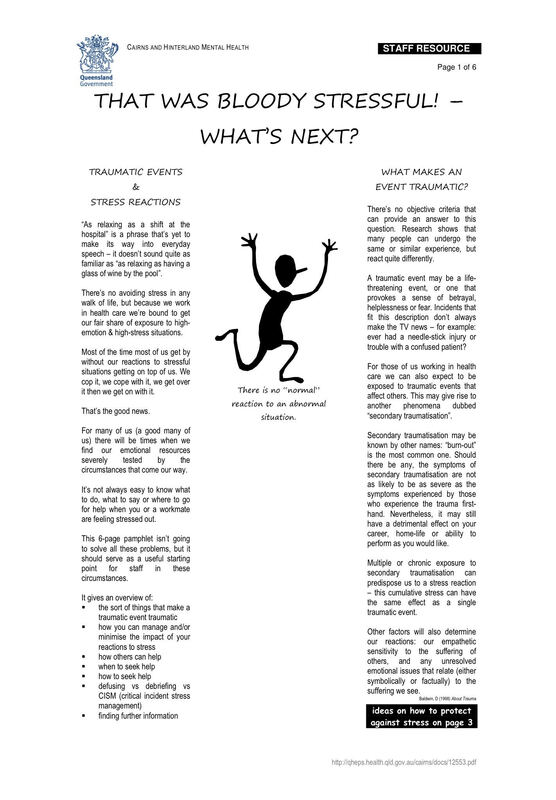 It has sometimes been used with general hospital patients too – feedback is that some patients find it validating to know that staff can relate, in part at least, to their experience of having a stress reaction after a traumatic event. 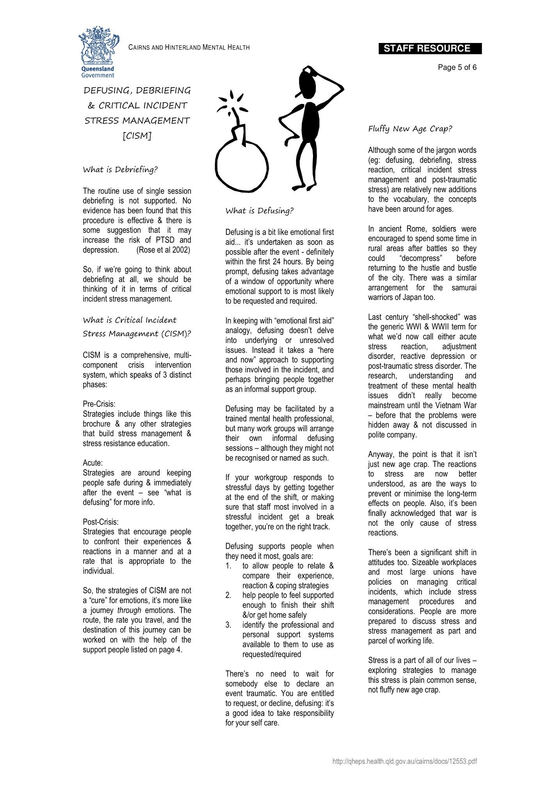 Over recent years information about the organisation’s employee assistance program has become much more visible and easy to access on the intranet; so much so that a dinky, amateurish, screen-bean & comic-sans laden little PDF with 10-year-old references probably isn’t really necessary anymore. Nevertheless, we made the decision a couple of months ago to keep it available because each month a dozen people or more search the organisation’s intranet using these key words: bloody stressful. Perhaps you’re wondering why, in 2013, I have decided to liberate this shabby-looking resource from the intranet to share with the internet. Well, nurses experiencing secondary traumatisation popped up as a topic in a Twitterchat last month, in a Google+ community a week ago, and again on Twitter this morning. Nurses do emotional labour. Maybe we should pool our thoughts and resources about how best to manage the effects of this. So as to include the recently launched Nurse & Midwife Support info, I’ve updated the “That Was Bloody Stressful! What’s Next?” PDF. As an added bonus, the headline font has now been changed away from Comic Sans. 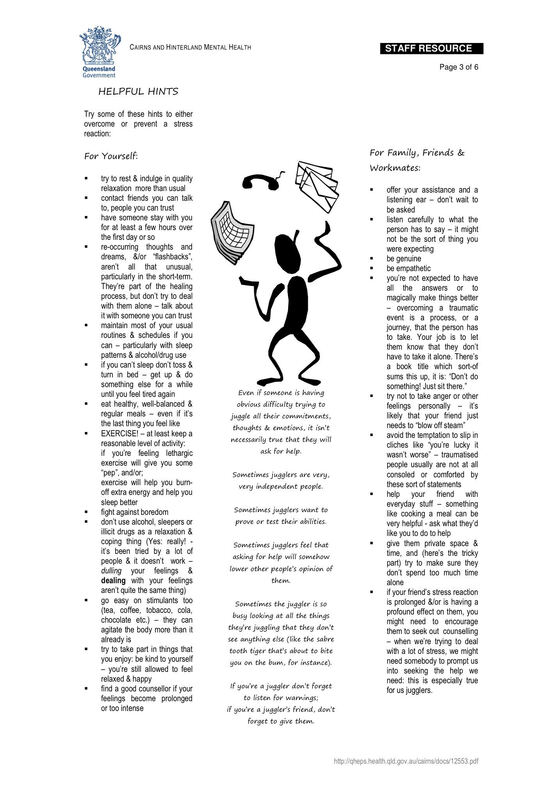 This entry was posted in Blog and tagged clinical supervision, emotional labour, nurturing, secondary trauma, stress reactions on 4 January 2013 by Paul McNamara.